When can I hire a Social Security Disability attorney? You can hire a Social Security Disability lawyer at any stage, but the most common time is after your initial application is denied by the Social Security Administration. It is important to remember that your appeal or motion for Reconsideration must be filed within 60 days of the denial. I strongly recommend that you call us today at 877-529-7070 or 877-PAIN-LAW if you are disabled from work due to a physical condition or injury, as well as, a mental condition. The call is free, but the information could be priceless as you decide how to proceed with your disability claim. There are many Social Security Disability claims that if litigated effectively can win even when the condition or conditions on their face do not appear to normally qualify based on the Social Security Administration’s usual list of disabling conditions. Our attorneys can explain how individually each condition might not disabled you, but collectively the many conditions you may be suffering from prevent you from being able to work and maintain any job. How is the Social Security Disability attorney paid? Social Security Disability claims are handled on a contingency fee basis at the Griffin Law Firm. This means that we never ask you for a retainer for our attorneys fees. Instead, we collect an attorney fee only if we win your Social Security Disability claim, and our fee is 25% of the past benefits we win you. The maximum amount your attorney fee can be by federal law is $6,000, but this maximum can change as the laws change. Since hiring our attorneys will greatly increase your chance of winning your disability benefits, and since there is no out of pocket charges, it is really a win / win situation when you hire our firm for Social Security Disability claims. This means that you have nothing to lose and everything to gain by calling us at 877-529-7070 or 877-PAIN-LAW. Does hiring a Social Security Disability attorney mean I’ll win? It is well established that hiring a Social Security Disability attorney will greatly increase your chances of winning your disability benefits. This is because your Social Security Disability lawyer knows what medical and disability evidence is needed and knows how to present your case in its best possible light. It is also well established that most applicants for Social Security Disability claims are initially denied so it is important not to give up just because you were not granted your benefits at the first stage. Call us to handle the appeal as quickly as you can since there are normally about 60 days to appeal before you lose your right to appeal. 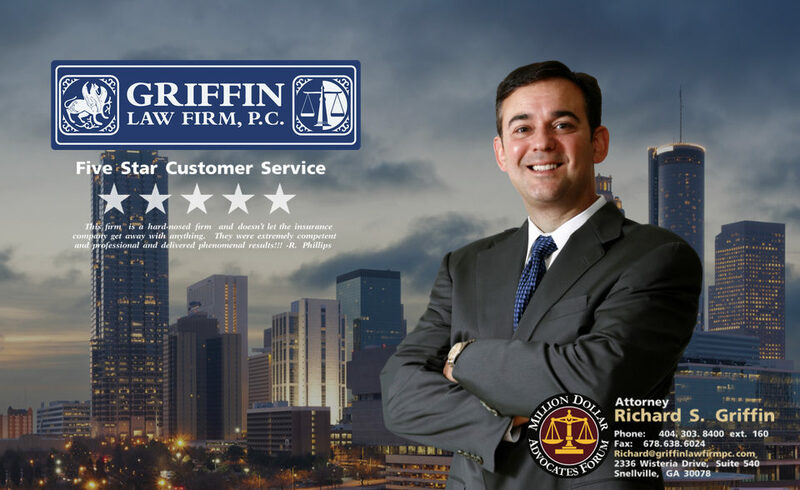 Why should I hire the Griffin Law Firm? Attorney Richard Griffin and his Social Security lawyers have a great track record of success in handling Social Security Disability claims. Our firm is highly rated by other attorneys, judges, and our clients. These reviews resulted in our receiving an AV Preeminent Rating from the Martindale-Hubble which is the highest award for legal ability and ethics. Call us today at 877-529-7070 or 877-PAIN-LAW for your free Social Security Disability Evaluation.